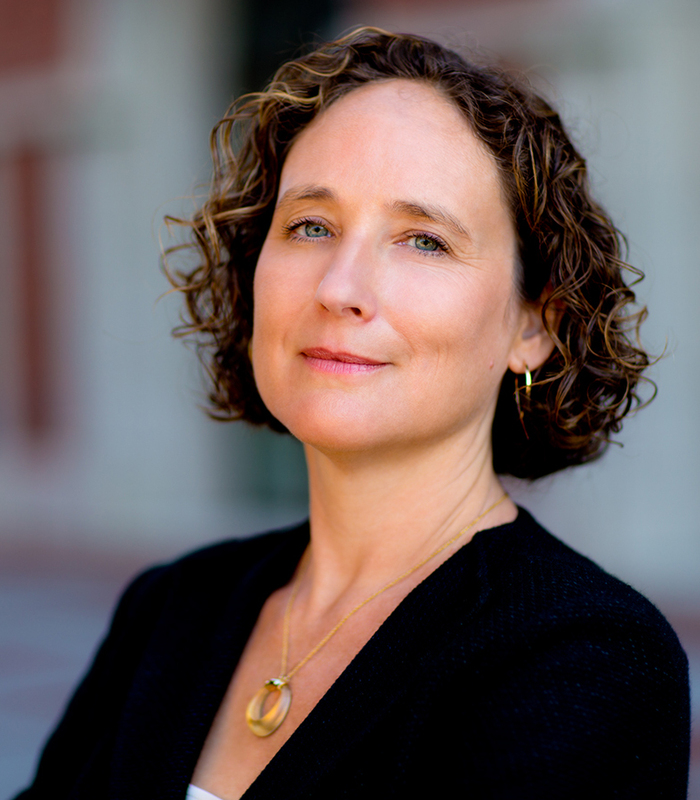 As dean of the USC Dornsife College of Letters, Arts and Sciences, Amber Miller oversees the university’s largest, oldest and most academically diverse school. She also holds the Anna H. Bing Dean’s Chair, in addition to a faculty appointment in the Department of Physics and Astronomy at USC Dornsife. Miller’s research focuses on experimental cosmology, leading teams to build and deploy telescopes that probe the conditions in the universe when it was less than one second old. Miller and her colleagues examine relic light from the early universe with the goal of understanding the origin, evolution and fundamental nature of the universe. Miller received her Ph.D. and master’s degree in physics from Princeton University and her bachelor’s degree in physics and astronomy from the University of California, Berkeley. Before joining USC Dornsife in August 2016 as its 22nd — and first female — dean, she served as dean of science for Columbia University’s Faculty of Arts and Sciences, where she was also a professor of physics. She has published more than 100 scientific papers, and her honors and awards include a National Science Foundation Career Award, an Alfred P. Sloan Fellowship and a Lenfest Distinguished Faculty Award. In addition, Miller was a Hubble Fellow at the University of Chicago and a NASA Graduate Research Program Fellow. She is a fellow of the American Physical Society.